"Today's news is further evidence that the energy market does not work for consumers. Dirty tactics like blocking switching are why people don't trust the Big Six energy companies. "After years of price rises and soaring profits, people don't feel they get a fair deal. By gathering together as part of a national collective switch like ThisIsTheBigDeal.com, people can take on big business, get cheaper bills and make the market work for them." The average household dual-fuel energy bill has more than doubled since 2005, from £600 to over £1,200 (according to Consumer Futures). Meanwhile, between 2009 and 2012 the Big Six's profits from supplying households more than quadrupled, rising by £1bn (Ofgem, Nov 2013). ThisIsTheBigDeal.com polling (conducted by Populus) shows that just 17% say they get a fair deal from their energy providers, 72% say they act like a "cartel" and 83% say the energy market is "broken". 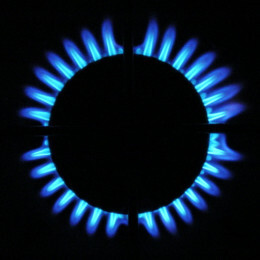 ThisIsTheBigDeal.com is a national campaign for cheaper energy bills. It harnesses the collective buying power of its members to deliver huge savings. Sign up is free, takes less than 60 seconds, and there's no obligation to switch. It will save its members hundreds of pounds. 10,000 people have already signed up.